Grab yourself this trendy monogram necklace to adorn your outfits in a stylish and graceful way. The necklace comes with an attractive design that will exude an aura of elegance when worn. 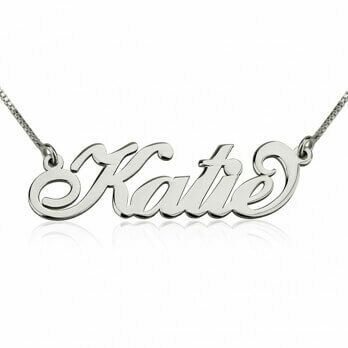 You can personalise the necklace with up to three initials of your name and order with chain length of choice. Our jewelers make the design with extra care to create this custom cut design. The font used for this necklace is curved out with an artistic touch to give you one of the most striking pieces of personalised jewellery. Unlike most monogram necklaces which are enclosed by a circular border, this design has the letters curved out without any frame enclosure. 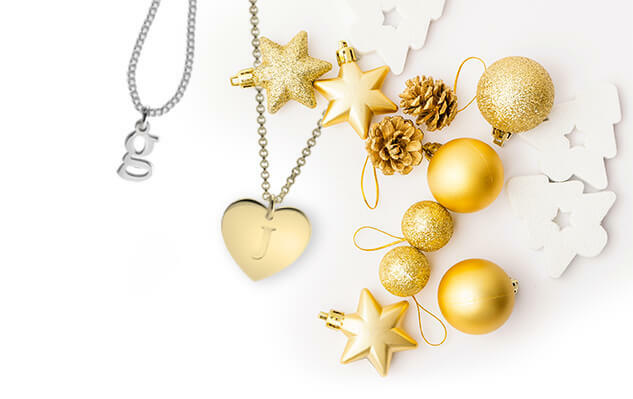 The pendant is one of the best treats that you can get for yourself. When ordered with initials of your choice, this is the perfect piece of adornment to show off your taste in unique jewellery. Loved the necklace, great value!! I have to say I am highly impressed with onenecklace. Even though I did not place my order till days before Xmas they got it to me on Xmas Eve and it was beautiful. I would definitely use this company again. It's beautiful and practical. I will definitely buy more in the future when there's a sale. The best investment as a gift to a loved one or friend. I loved it so much I bought two, one good and one silver. Can't beat the price and very nicely made. I ordered this for my daughter and she loves it. It is very well made. It was an easy purchase at a reasonable price. 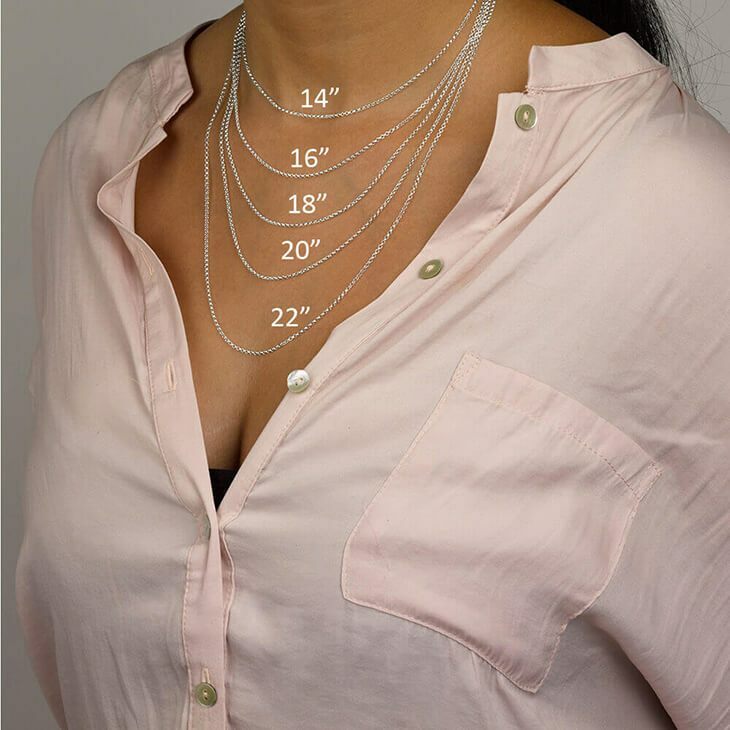 I ordered 3 silver necklaces (2-18 inch, 1-20 inch), just like on the model. They were perfect, well made, right size, & good price. 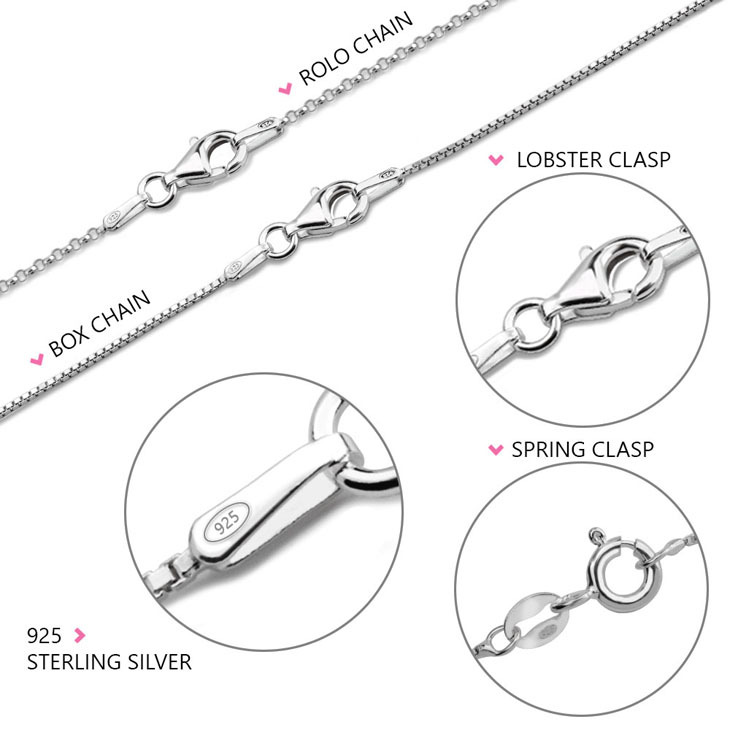 You can also use your length chain if needed. I did not order them for Christmas delivery, but they were sent 12/24. Many Thanks. Can't go wrong. I love giving this to friends as a special host gift. I send it a week after with a note of gratitude. I have been wanting to buy a momogram necklace for a long time! I was totally shocked by some of the retail prices. I am so glad that I did a google search and found oNecklace! I love their product and the prices are great too! I have referred many friends to them and they too have purchased and are very pleased! Can't wait to buy other items! the necklaces I ordered for my twin nieces were beautiful and well made. The girls loved them. I ordered this as a gift for my daughter. She lived it and I was thrilled with your quick service and delivery. I will use this site again. Given to my granddaughter as a Christmas gift. She absolutely loves it. Beautiful and good quality. I bought this for my mom for Christmas and it was perfect. She loved it and wore it every day while I was home. It arrived quickly and looked beautiful! me gusto mucho el collar....me encanto muy rapido llego!!! Based on some of the reviews I read, I was expecting the pendant to be too thin. This ended up exceeding my expectations. Absolutely perfect. And their shipping time is way better than MNN, even though I paid extra over there for faster shipping. Very happy first experience with Onecklace, will definitely purchase here again! Love my necklace! Size, look and feel are great! It came quick and it was perfect! I ordered an initial necklace and it looks fabulous! It's bigger than I thought, which I love and Im getting all kinds of compliments about it! If you're thinking about ordering an initial necklace, I think you will be very satisfied with your purchase. I'm so in love with this keep sake .... the details of the each initial makes this piece look like an heirloom that could be passed down from one generation to the next. Great craftsmanship and excellent quality, this is my third purchase from onecklace.com and I will be ordering again soon. A Just because for my mom!! My mother loves this classic piece and put it on as soon as I gave it her!! She has yet to take it off and tells me that she gets compliments daily on it. Great purchase for a great price!!! I recommend buying from one necklace, because first it's hand crafted and its just gorgeous! I love it!! I purchased one for myself to see if Product was as good as advertised. Lets just say It was past anything I expected. I loved it so I just had to purchase one for my niece for her graduation. Necklace is just as expected and arrived in a timely manner. I would make it a point to order from this company again, due to their incredible concern and customer service. Thank you all! Very happy with the necklace I ordered. I bought this necklace for my mom for Mother's Day and she loved it. So did I. It was exactly what I had been looking for and was very affordable. I would definitely order from Onecklace again. 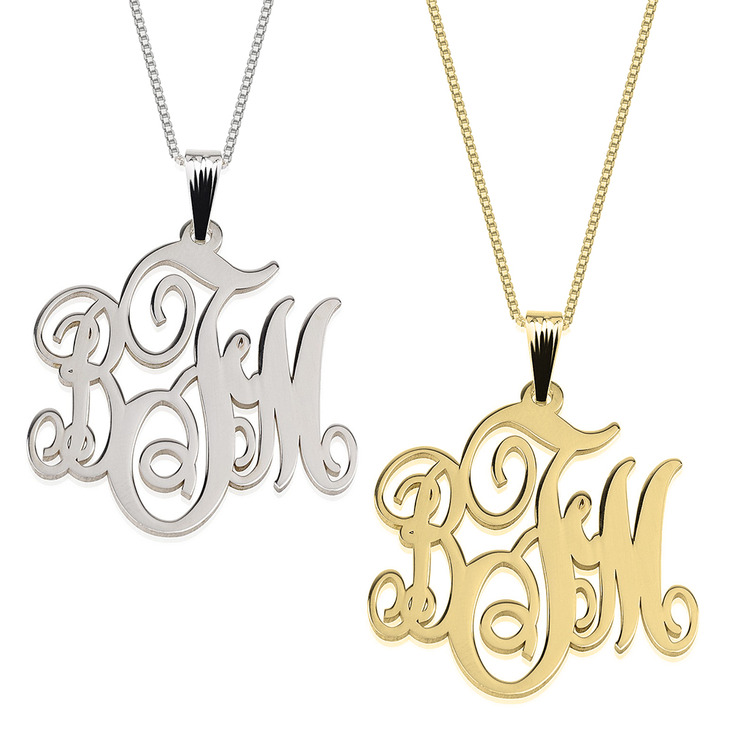 I was so pleased with the Sterling Silver Monogram Necklaces that I ordered for my girls! They love them and all my friends wanted to know how to get them for their girls!! There was a postal mix up but when I emailed the company with my order # they set the ball rolling. They shipped my necklace in less than 10 days. I was so thrilled to see it and wear it. I have told so many about this site and am so pleased with my silver treasure. I ordered 3 of the monogrammed necklaces for Mother's Day. They arrived the day before! 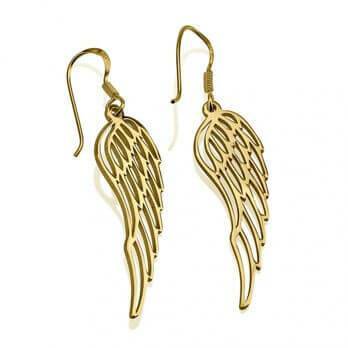 They are gorgeous & I have had so many compliments on mine! Didn't realize the shipping would take as long, but now I know to order in advance! Always prompt on replying to emails regarding questions on shipment! Will definitely order from this company again! My wife is in LOVE with her necklace!!!! My wife is in LOVE with her necklace!!! Awesome Mother's Day gift! My daughter received it for her birthday and she loves' it and going to order another one in sterling. I am very satisfied with my necklace. I have received many complements. Design it very nice and it looks expensive. I can't wait to order more. My daughter and I fight over this one. My necklace is exactly what I ordered. Love the charm plus the quality of the chain. Will probably order again for Mother's Day presents. Came just how I expected and I love it. The necklace and chain were very nice. The quality appears excellent. The shipping was fast and it looked like the pictures. I am very happy with the transaction and purchase. Loved it and a great price! I ordered a sterling silver monogram necklace for my wife for Valentine's Day. It is beautiful. She was wearing it when I came home, and she looked stunning. I ordered this necklace for my daughter's 15th birthday. It shipped very quickly and arrived quicker than expected. She loved it. Very well made and met all my expectations. I really like my necklace, it looks just as pretty as it was shown on the website, and the price was so reasonable. 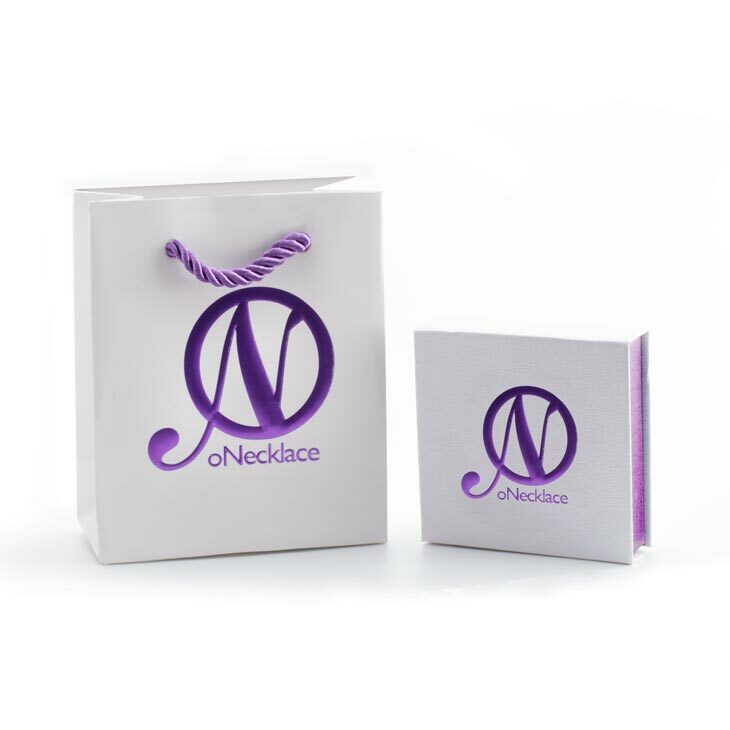 This was my first experience ordering from oNecklace, and I wouldn't hesitate to order from them again. Given as a gift to a pre-teen and she loved it! Nice quality and arrived as promised! I am perfectly satisfied with my necklace purchase. I really appreciate your personal follow-up and interest in my purchase. So few businesses express any real interest in customers these days, I find myself wishing I was back in the fifties when customer satisfaction and guarantees of the customer's satisfaction was a staple of doing business. I wish you much luck with you enterprise, and your approach to your customers' satisfaction. I ordered two of these as gifts for Christmas. Both my mother in-law and grandma loved them. They raved about them so much that I bought one for myself. My shipment was delayed because of storms in the mid-west US. I emailed onecklace and they were prompt and courteous as they explained the delay which was out of their control. My necklace arrived and I haven't taken if off since. I suggest a longer chain because the monogram I ordered was larger than I expected but I'm glad it was because the font is beautiful. My daughter loves her necklace! Very pleased with quality and style!! I purchased two monogrammed necklaces and I love them. The quality is great for the price. I received the wrong necklace first and the company sent the correct items as soon as I notified them. Very responsive. I am very pleased with my necklaces and ring; and fast delivery too! Beautiful design, beautifully made, and it is the perfect weight and size. This was a gift for my daughter and she was delighted! 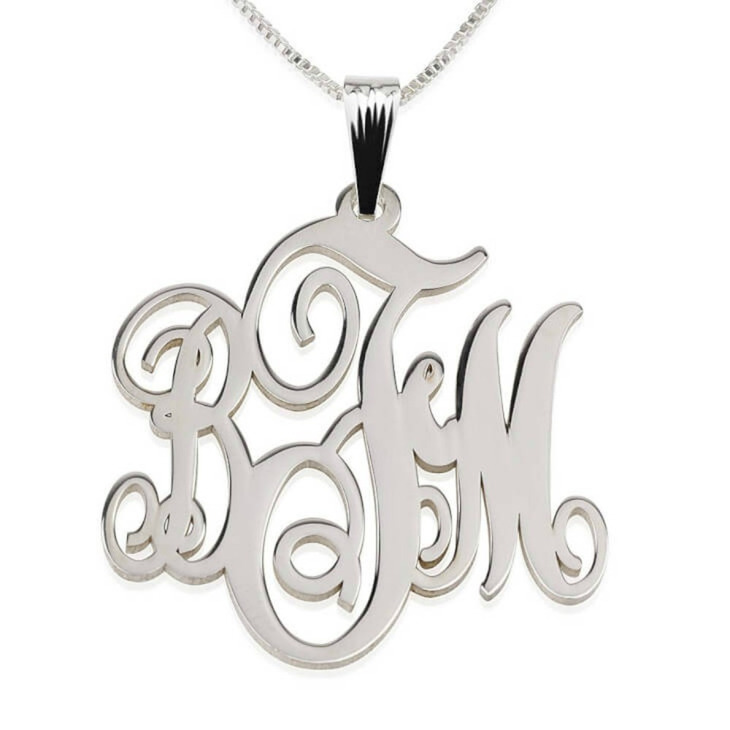 My daughter was very pleased with the monogram necklace I ordered for her for Christmas! It is lovely! She is excited to show it off when she wears it with her pretty sweaters! The quality and price of necklace was great, I will be looking at buying other products from your company. Didnt take long to revive product also.. I purchased the monogram necklace for my daughter for Christmas and she loved it! Received it in a timely manner and would definitely shop with ONecklace again! The necklace is just what I was expecting. Classy and beautiful. Monogram perfect. Came quickly as well. I was pleasantly surprised how heavy this necklace was since it was so inexpensive. I know my daughter will LOVE it! I had specially requested 14K white gold. The quality of the necklace is very good. It's very beautiful and my wife is going to love it. Customer service was great; communication between Yoni was consistent. Order was shipped immediately after I confirmed payment. It was beautiful and exactly like the picture . I will definitely order from them again!!! I bought this necklace for myself and love the luster and shine of this piece. 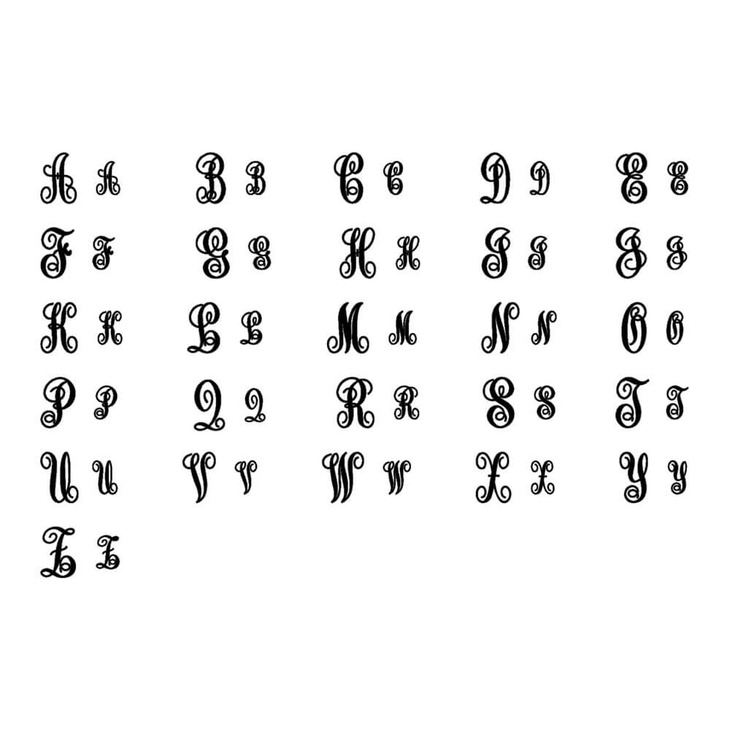 I was also looking for script that was both legible and pretty. I truly appreciated being able to see a mock up of my initials prior to purchase. So many other vendors do not provide this service. I like to "see" what I'm buying. I love the size and the fact I was given a sense of my necklace's scale prior to purchase. Beautiful finished product! Made the perfect gift! The receiver was thrilled! I love the necklace. It is just what I expected. I love it! Nice quality and size. Just what I was looking for. Now I hope they will offer a round disc with the monogram on it, small like the size of a penny that can be worn as a necklace or used as a charm. I will definitely continue to shop here.